WOW! Moulding - A simple quick and easy way to create stunning embellishments and jewellery and many more 3D objects. All our moulds are food safe. For a great childrens party, use the moulds with chocolate and our ring blanks, so they can make their own edible jewellery, pop them on the top shelf of the dishwasher to clean out. Melt-It works as an extender for your WOW! Embossing Powders. 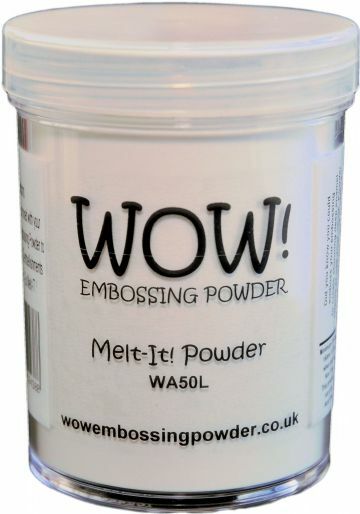 Melt-It heats and melts faster than any other embossing enamel or embossing powder. Melt-It is perfect for creating 3D objects such as jewellery pendants, card toppers or even flower centres! Supplied in a 160ml jar.